The Boutique Indochine Hotel & Spa is located in Wat Bo Village just 1 km from Siem Reap's city center and 10 km from the Siem Reap International Airport. All 27 rooms of this hotel's accommodations have been carefully appointed to the highest degree of comfort and convenience. The hotel offers 24-hour room service, a restaurant, coffee shop, poolside bar, concierge, shuttle service, tours, bicycle rental, business center and airport transfer as just some of the amenities available. Boutique Indochine Hotel & Spa is a 5 minute drive from the famous Phsar Chas (Old Market), the Angkor Night Market, and 15 minute drive to The World Heritage Sites of Angkor Wat Temple. Boutique Indochine Hotel Spa in Siem Reap! The Shinta Mani Resort is a recently-renovated Bensley-designed boutique property located in the midst of the French Quarter between the Old Market area and The Royal Gardens, just 0.5 km from the city center and 7 km from the Siem Reap International Airport. 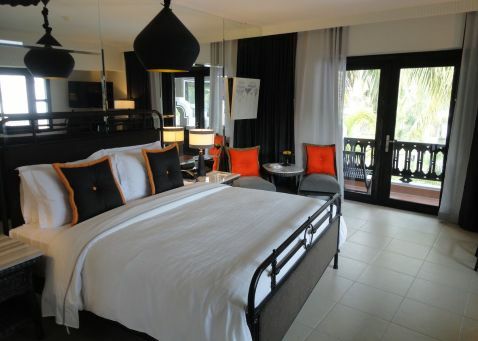 The Resort offers 63 Bensley-designed rooms. A multitude of amenities are at your disposal at the Sinta Mani Resort. An outdoor pool, spa with massages, and a garden complete the recreational facilities at the hotel. Besides the close proximity to the Old Market and The Royal Gardens, guests appreciate the responsible tourism Shima Mani Resort promotes as part of the Shima Mani Foundation which provides free hospitality training to less fortunate members of the Siem Reap community. Shinta Mani Resort in Siem Reap! 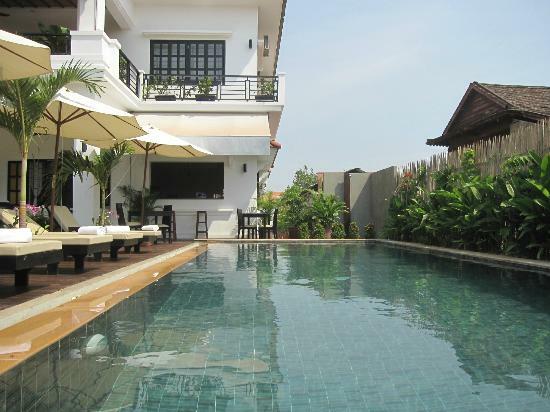 Offering quality accommodations in the sightseeing district of Siem Reap, Areca Angkor Boutique Villa is a popular pick for both business and leisure travelers, situated just 1.5 km from the city center and 9 km from the Siem Reap International Airport. The hotel features 11 beautifully appointed guest rooms. Areca Angkor Boutique Villa offers many amenities to enhance their guests stay including 24-hour room service, poolside bar, a restaurant, tours, bicycle rentals, concierge, airport transfer, shuttle service, babysitting, and laundry service. This modern hotel is in the vicinity of popular city attractions such as Wat Bo, Pha Samaki Shopping Center, and Phsar Leu Local Market. 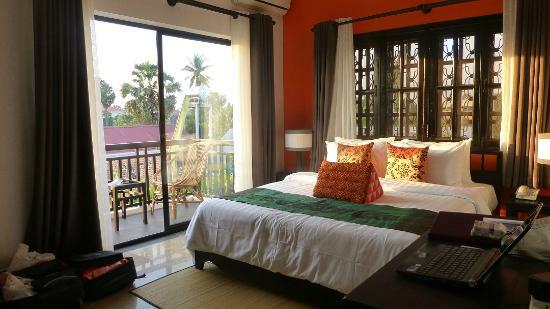 Areca Angkor Boutique Villa in Siem Reap! The Angkor Empire Boutique Hotel is a modern-designed hotel located just 0.5 km from the city center and 6 km from the Siem Reap International Airport. Guests can choose from 19 rooms, all of which come equipped with an open bathroom with rainfall. Some rooms have a private balcony. There is also a hot tub and massage available. With the city's main attractions such as Artisans d'Angkor, Angkor Night Market, Wat Preah Prom Rath Temple, and Lemongrass Garden Beauty & Massage within close reach, visitors to the Angkor Empire Boutique Hotel will just love its location and accommodations. 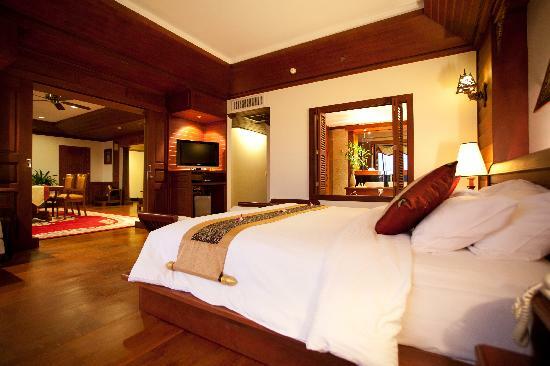 Angkor Empire Boutique Hotel in Siem Reap! 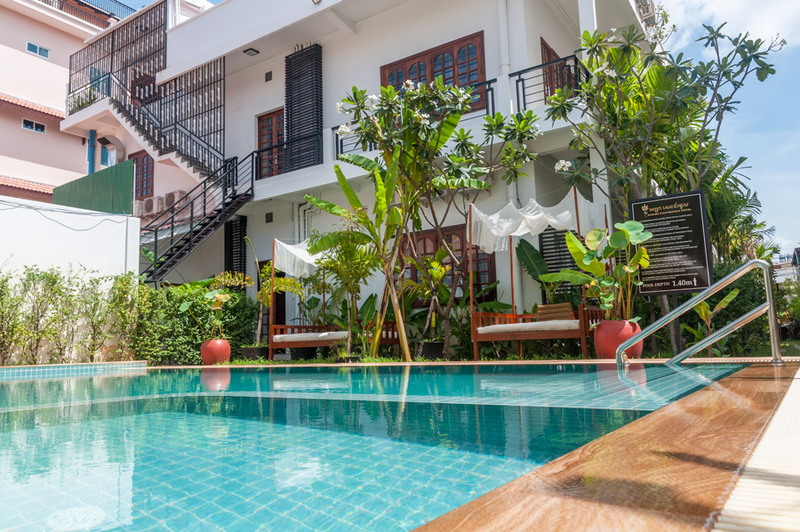 Nestled in the heart of Psa Krom Market in Siem Reap, the Rumahmu Boutique Hotel is an ideal spot from which to discover Siem Reap and its popular city attractions. 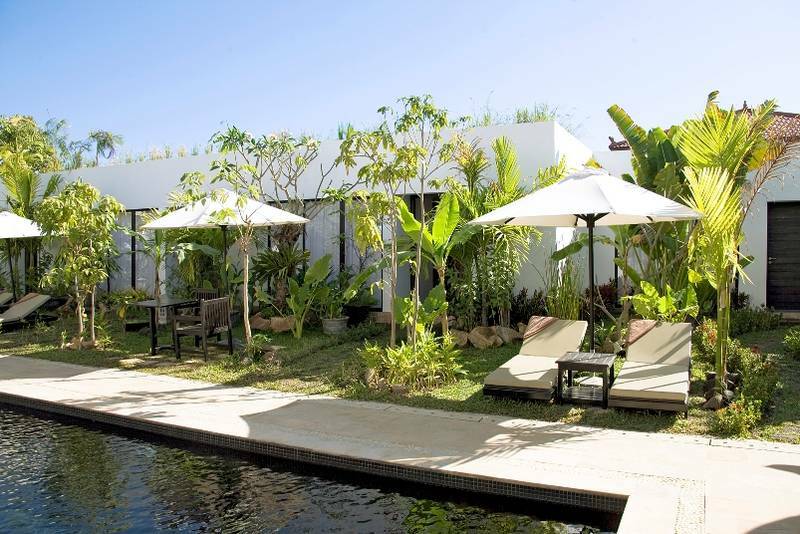 Modern and simply decorated, the Rumahmu offers 13 rooms. The Rumahmu Boutique Hotel offers a concierge, room service, a restaurant, coffee shop, poolside bar, tours, bicycle rentals, shuttle service, airport transfer, a business center, and laundry service in order to ensure each guests' stay in a memorable one. The outdoor pool, massage, and garden complete this hotel's memorable package. Just steps away from the hotel are the city's numerous attractions such as Artisans d'Angkor, Happy Ranch, and the Lemongrass Garden Beauty & Massage. 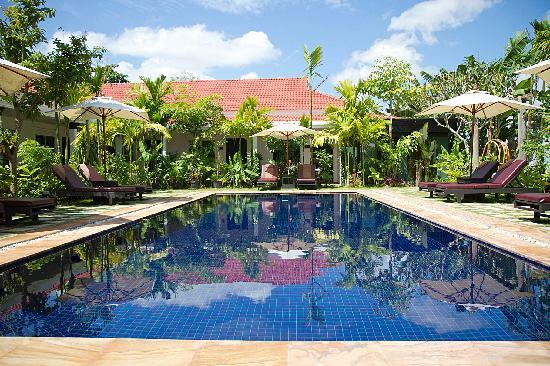 Rumahmu Boutique Hotel in Siem Reap! Housing 19 elegantly decorated rooms, The Privilege Floor is perfectly located on the fourth floor of a 5-star property of Borei Angkor Resort & Spa, 8.1 km from the Siem Reap International Airport. All the guestrooms are fitted with wooden flooring, silk handicrafts, air conditioning, and ensuites with separate shower and bathtub. Popular attractions near The Privilege Floor Hotel include Miniature Replicas of Angkor's Temples, the Night Market, Preah Angkor Chek, Preah Angkor Chom, and the Angkor Shopping Center. Enjoy the unparalleled privacy and luxury that redefines the meaning of privilege at this beautiful, service-oriented property, The Privilege Floor. The Privilege Floor in Siem Reap! When visiting Siem Reap, you'll feel right at home at Apsara Centerpole Hotel, located 7.6 km from Siem Reap International Airport in the city center, which offers quality accommodation and great service. The hotel's 19 rooms have been carefully appointed to the highest degree of comfort and convenience. Amenities available at the Apsara Centrepole Hotel include a 24-hour front desk, restaurant, coffee shop, poolside bar, 24-hour room service, concierge, a business center, tours, bicycle rental, and airport transfer. Popular attractions in the area include the Siem Reap Night Market, the Old Market, Pub Street, and Angkor Night Market. Apsara Centrepole Hotel in Siem Reap! Conveniently located in the historical land of Cambodia, The Moon Boutique is a great base from which to explore the vibrant city of Siem Reap. This 4-star hotel can be easily accessed from the Siem Reap International Airport 8.6 km away and is situated just 1.5 km from the city center. Featured with all the essential facilities, the 17 guestrooms of The Moon Boutique Hotel provide a separate shower and soaking bathtub, and a tea/coffee maker. An outdoor pool, spa, and garden are also available for hotel guests. The top attractions in the area include Miniature Replicas of Angkor's Temples, the Night Market, Preah Angkor Chek, the Preah Angkor Chom, and Bodia Spa. 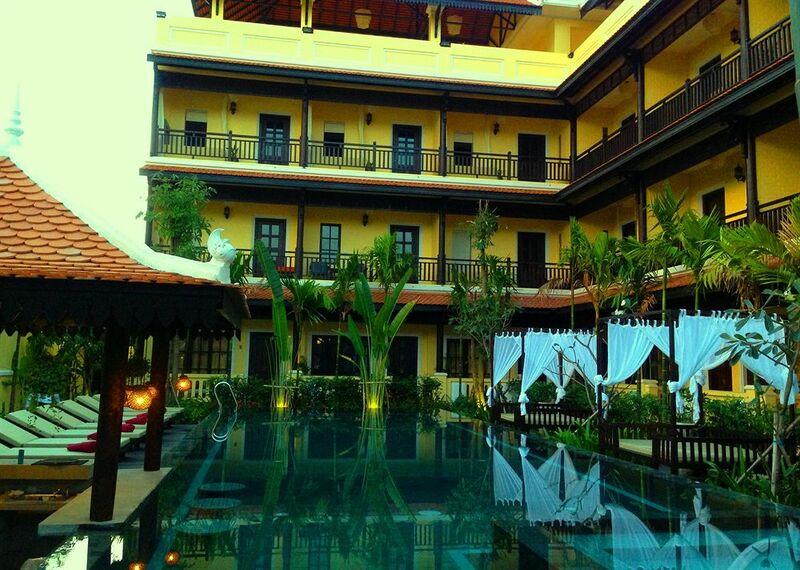 The Moon Boutique Hotel in Siem Reap! 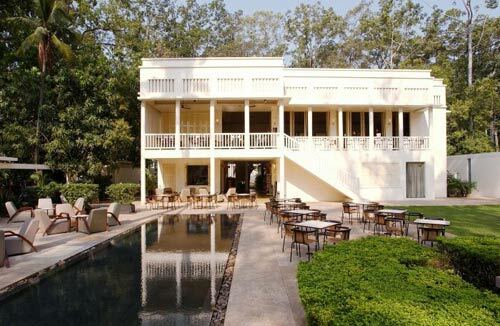 Overlooking the Siem Reap River, the FCC Angkor Boutique Hotel and Restaurant sits at the heart of Siem Reap, just a short bicycle ride away from Cambodia's most alluring attraction, the Angkor Wat. Renovated from the old French Governor's mansion, French art deco embraces modern chic to create a hotel atmosphere of refined luxury and casual elegance located just 1 km from the city center and 7.5 km from the Siem Reap International Airport. The FCC provides 31 rooms with warm, welcoming decor. Popular attractions close by the hotel include the night Market, Preah Angkor Chek, Preah Angkor Chom, the Angkor Shopping Center, and Miniature Replicas of Angkor's Temples. 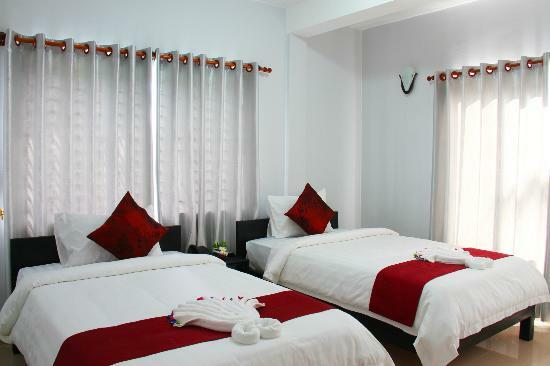 FCC Angkor Boutique Hotel in Siem Reap!